Finely crafted with the utmost attention to detail and careful selection of precious stones, this impressive diamond and white gold ring is a wonderful piece to own. 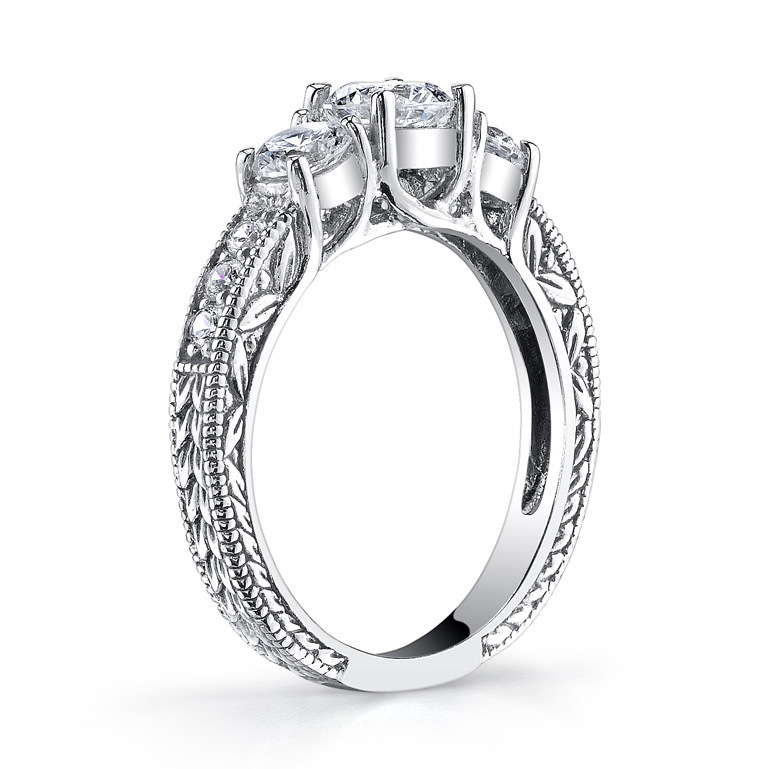 The 3/4 Carat Total Three-Stone Antique-Style Diamond Engagement Ring in 14K White Gold is a show of shimmering light in a floret setting that conveys a traditional feel. The ring features a 0.30 carat center stone with two 0.15 carat diamonds on each side and six 0.025 carat round diamonds for a total of 0.75 carats. This lovely 14k white gold ring features a decorative band (2.5mm-3.5mm) with floral carvings along the side that brings out the antique-like quality to the ring. 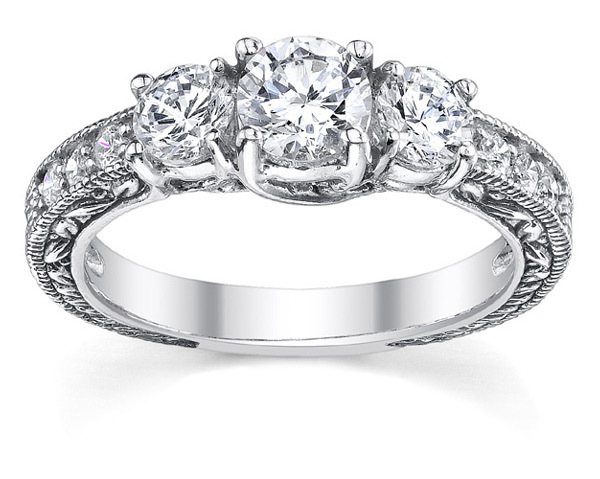 Based on a traditional design yet newly crafted to modern standards, this ring is the best of both worlds. 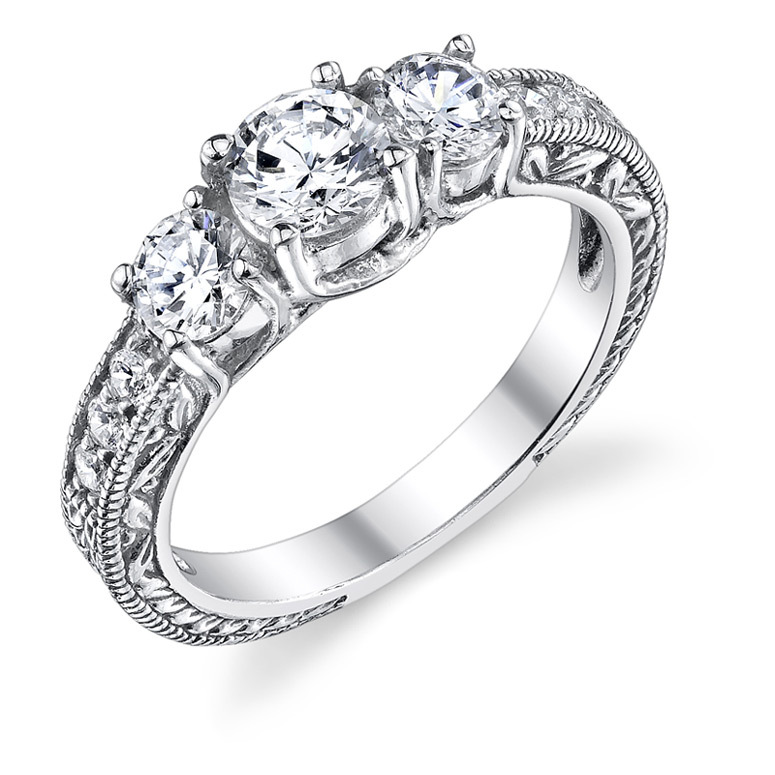 It is a stunning diamond engagement ring that will certainly impress and excite the new bride. Diamond quality is H-I Color, SI Clarity. Apples of Gold Jewelry guarantees the 3/4 Carat Three-Stone Antique-Style Diamond Engagement Ring, 14K White Gold to be of high quality and an authentic engagement ring with real diamonds, as described above.